These vibrant expressions of color have been typically used to describe “negative” emotions and moods as experienced by humans. 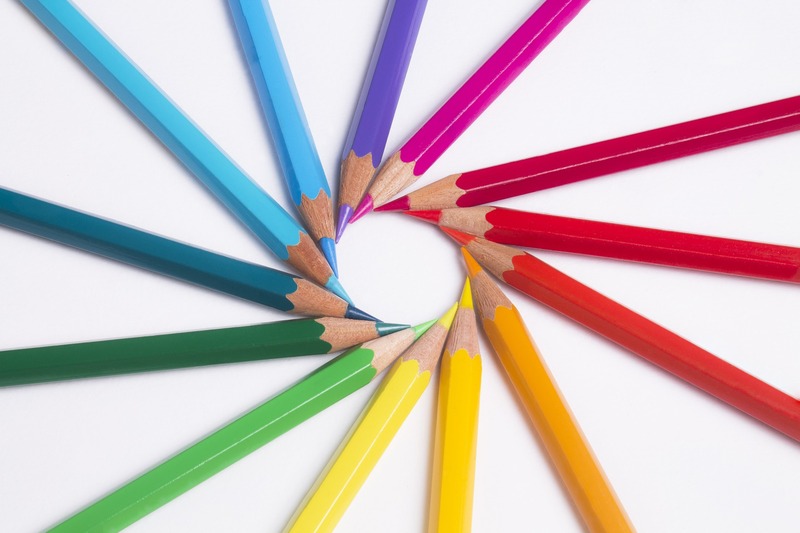 It is obvious that colors psychologically affect people on both the conscious and subconscious levels. But why not flip the script and instead of using colors to denote negative situations, apply specific hues to promote positive mental states and improve wellbeing? Colors vibrate at different rates, which results in how the colors are seen. These frequencies thus have different vibratory signatures for each tone of color. So not only do different colors have different signatures (blue vs. red), but different tones (navy vs. baby blue) carry different emotional associations and frequencies. Use color to help you dress for success, work through personal challenges, or liven up the décor of your home to help you create the ideal life you aspire to live. Please note: it’s okay to start small! It may be a bit of a stretch to all of a sudden flaunt a bright red outfit one day if you are used to always wearing dark tones. As an alternative, pick up an accessory in the color you desire (jewelry, belt, shoes, necktie, socks, scarf, etc.) and test it out. You may observe that certain accessories suit you better than others, which is totally fine. How did you feel before and after introducing the color? Did you notice any shifts in your behavior or thinking patterns? Some colors’ energies and signatures may be obvious to you right away while others are not as much. Play around by incorporating different colors into your outfits to see what works for you. Likewise, you may choose to instead bring a color into your personal space, such as a home or office. Incorporating a bouquet of flowers, potted plant, paperweight, painting or art piece, lampshade, photo frame, or other decorative knick-knacks can create an inspiring environment that reflects your intentions. For example, while working indoors at your office, you could add in some green in the form of a plant that sits on your desk to help ground yourself and connect you with nature. Or, perhaps you might wear a violet t-shirt when you want to reflect and meditate on what your next steps in life will be. If you are nervous about an upcoming speaking event, carry a blue gemstone like lapis lazuli in your pocket to calm you down and encourage you to confidently speak your truth. The possibilities are limited only by your own creativity. Now, use the below color associations to figure out what colors (and corresponding attributes) you would like to bring into your life. Of course, there may be multiple colors to choose from depending on what your intentions are. If that is the case, incorporate the color(s) that speak to you most. 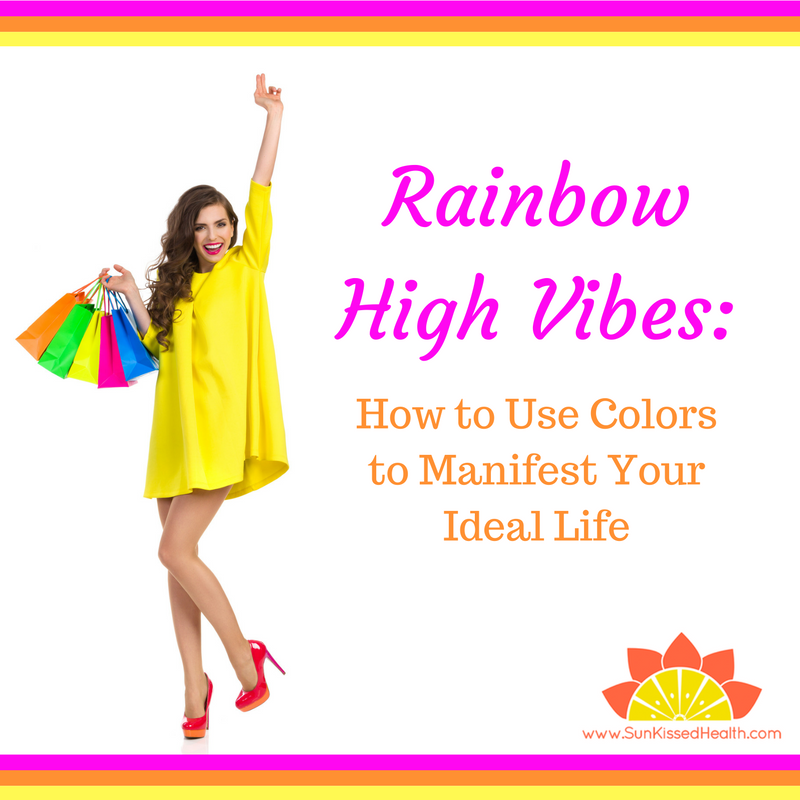 The next time you need to do some creative brainstorming (yellow, turquoise), increase your spiritual connection (indigo, violet), or feel more at peace (blue, white)—choose to wear or surround yourself with colors that will help you to achieve these intentions. You can always turn to the color spectrum to help you paint the picture of a joyful and harmonious life that you will love! Use for: increased drive and bursts of energy while working out or playing sports. Use to grab the attention of a hot date! Use for: a major self-esteem boost, so wear to a party or out dancing, or to help cope with emotional distress. Use for: increasing confidence and bringing more joy to your life. Also use when brainstorming or working on creative/design projects. 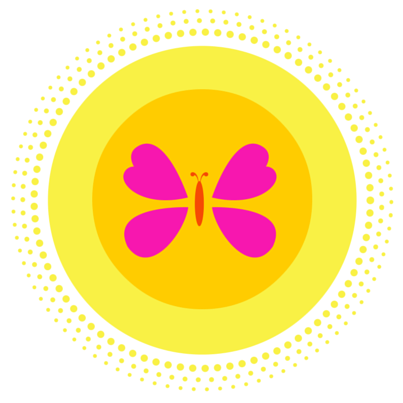 Use for: Connecting with nature through taking a walk at a park or in the garden. Also is a great color to wear when volunteering or after surgery to stimulate healing and rejuvenation. Use when working in groups to make decisions and to nurture others. Use for: Getting back in touch with emotions, and freedom of expression while dancing or creating art. Use for: Speaking your truth (when giving a presentation, writing, or creating art), reduced anxiety, and relaxation (light blue). Wear to increase concentration, and to command authority (dark blue). Use for: Better management and decision making, meditating or engaging in reflective practice. Also increases spiritual connection and enhances psychic abilities. Use for: Open-mindedness, hope and encouragement in times of need, clean slate to move forward, charitable work, finding more focus in life. Use for: Caring for and working with children, compassion, anger dissipation, and hope in seemingly bleak situations. Use for: Comforting or supporting someone, being more practical, self-grounding, concentration when studying for a test or working on a school project/paper. Use for: Discernment, respect from others, the appearance of being calm, cool, and collected. Use for: Commanding presence and having a “Like a boss” attitude! Have fun playing around with colors! Please comment below with any insights or experiences you want to share!